Kichler Task Work Direct Wire Fluorescent undercabinet fixture in white finish, features steel construction. Frosted glass shade brings elegance to the home. 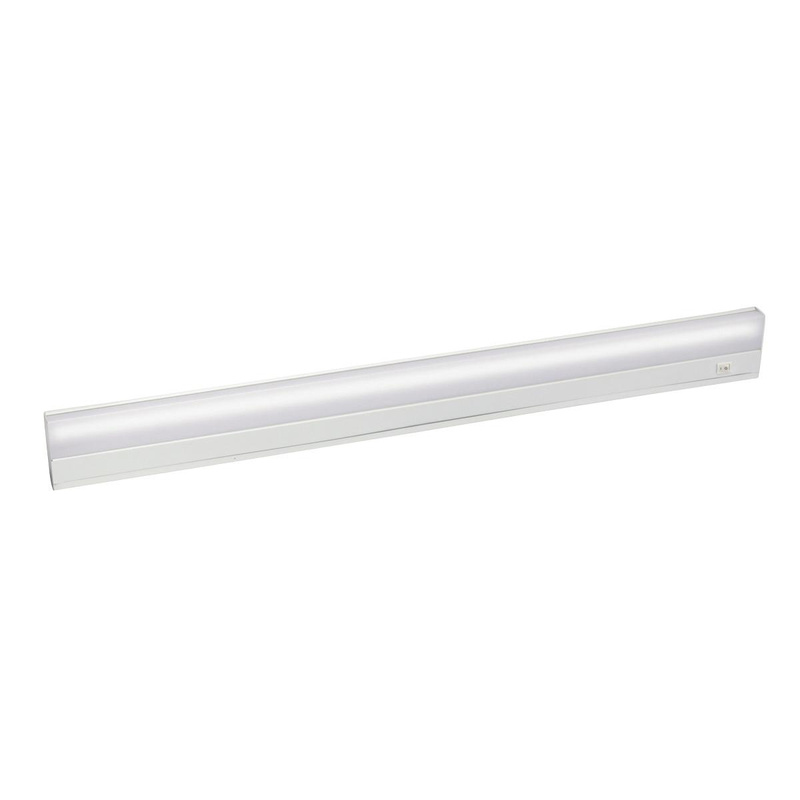 Fixture employs one 21-Watt T5 compact fluorescent lamp that features color rendering index of 85 and color temperature of 2700K. Lamp has voltage rating of 120-Volts. It measures 34.5-Inch x 3.5-Inch x 1-Inch. Back mountable undercabinet fixture has hinged assembly. It features multiple knockouts for easy installation. It comes with NM/BX single cable connector. Undercabinet fixture is UL listed.